Grounded in the Science and Technology Studies (STS) tradition, the Computing, Culture and Society (CCS)* track focuses on the relationship between technological innovation and larger social, political, legal, and economic developments. From social media and artificial intelligence, gaming, domestic and workplace applications, little data and Big Data, to mobile technologies and giant server farms, computing technologies are a constant presence in our lives. CCS provides students with essential training in social scientific and humanistic theories, methods, skills, and knowledge. On this solid foundation, CCS students produce original research on the ways culture and society shape, reflect, challenge, and constrain the design and use of information and communication technologies around the world. 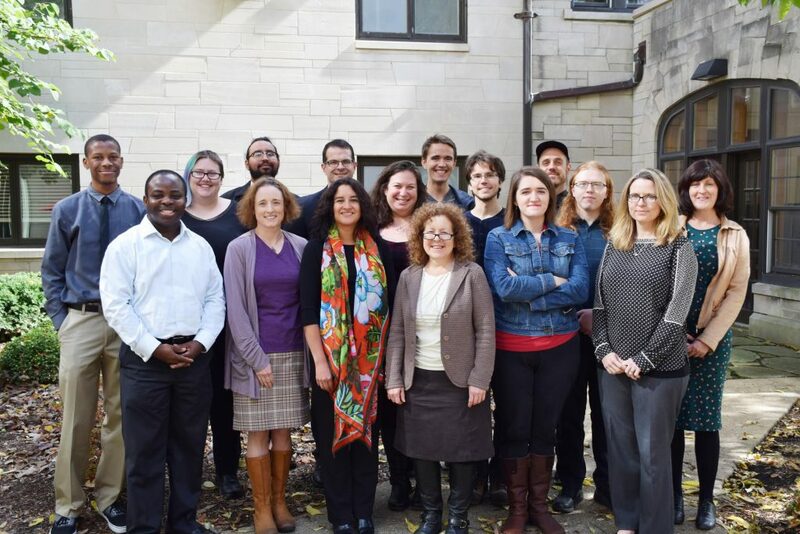 A highly interdisciplinary group, CCS faculty tackle a broad array of projects within this dynamic area of research. They draw on rich, multidisciplinary backgrounds in anthropology, cognitive science, engineering, history, information science, law, linguistics, music, political science, public policy, robotics, and sociology in order to do so. The faculty use a correspondingly wide range of methods in their work, including case-based, design, ethnographic, experimental, historical, survey, and visual methods. A reflection of their broad training and research interests, CCS faculty and their students often collaborate with faculty and students in other Informatics tracks as well as those in Computer Science, the larger university, and broader research communities. Current CCS faculty pursue projects that range from the local to the global, analyzing, for instance, the interactions between people and robots, the enacting of identity on and off line, the use of computing technologies to support communities and developing regions of the world, everyday privacy behaviors, gender and computing, the political uses of computing by nation-states, computing and intellectual property concerns, the ways scientists, YouTube, and Twitter users disseminate and consume information, and the impact of computing on the environment.